Before returning to graduate school to earn her doctorate Kathy Davis had been a junior high school science and mathematics teacher and a high school guidance counselor. After earning her doctoral degree, she remained at the University of Georgia for over six years as a Counseling Psychologist in the Mental Health Division of the University Health Services and an Assistant Professor. She joined the faculty at the University of Tennessee as an Associate Professor in the Department of Educational and Counseling Psychology. Kathy is interested in the professional and skill development of future psychologists. This interest is manifested in the examination of the supervisory relationship and interventions used to develop and increase therapeutic skills in individual counseling and groups. She also is interested in how people make decisions related to ethical dilemmas, stressful situations and vocational choices. Some of her work has been published in the Journal of Counseling Psychology, Journal for Specialists in Group Work, The Counseling Psychologist, and the Journal of Career Assessment. 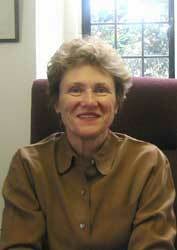 At the University, she has served on the Faculty Senate, Graduate Council and many university committees. At the national level, she has served as Treasurer and President of the Division of Counseling Psychology (Division 17 of the APA), Chair of the Council of Counseling Psychology Training Programs, a site visitor for the American Psychological Association, and a member of the Accreditation Appeal Panel. She has also been a Consulting Editor for the Journal of Counseling Psychology and member of the Editorial Board for The Counseling Psychologist. Davis, K.L., & Klukken, P.G. (2004). Counseling of post-secondary education students. In C.D. Speilberger (Ed. ), Encyclopedia of Applied Psychology: Vol. 3 (pp. 75-81). London: Elsevier Academic Press. Meara, N. M., & Davis, K. L. (2004). The Houston 2001 national counseling psychology conference: Making a difference for the specialty. The Counseling Psychologist, 32, 99-108. Robinson, B. S., Davis, K. L., & Meara, N. M. (2003). Motivational attributes of occupational possible selves for low-income rural women. Journal of Counseling Psychology, 50, 156-168. Carter, J. A., & Davis, K. L. (2001). Revitalizing the Division: The reorganization of Division 17. The Counseling Psychologist, 29, 882-906.